Healthcare costs are rising to unsustainable levels across the world, particularly in developed countries, and even more markedly in the US. There is a dramatic worldwide shift from communicable to non-communicable disease. The majority of these non-communicable diseases are preventable (such as type-2 diabetes and its linked conditions) and therefore the majority of medical expenditure is going towards treating preventable diseases. There is a weak correlation between life-expectancy and healthcare spending, per capita, across the world, but the US is a dramatic outlier. This is not healthcare – this is “sick-care” and it appears that higher spending on “sick-care” really does not always correlate with better, more healthy, outcomes for patients. Healthcare should be a system that actually seeks to promote healthy living, not one that just treats sick people. A purely sick-care system provides no long-term incentive for people to help prevent themselves from getting sick, and is therefore self-crippling. In a 2007 Watson Wyatt survey, employers were found to spend, on average, 21% of payroll on healthcare and sick leave, and the most commonly cited barrier to effectively managing health and productivity was lack of data (45%). Health insurance firms, in systems like that in the US, can incentivize companies to improve the health of their employees by offering to lower premiums, since this will lead to lower outlays in healthcare cover later. Arguably systems like that in the UK, with its predominantly tax based funding, provides the least incentive for individuals (or companies) to look after their own health. Companies and health insurance providers worldwide are increasingly trying to switch to risk managed systems, whereby they manage tranches of “souls” with a calculated spread of predicted wellness, and then seek to lower the average risk across the whole group. This then presents numerous opportunities for new business ventures to intervene and help in this wellness management – from calculating / modeling the risks, data management, diagnostic tests / testing and monitoring the health of patients through regular and / or remote testing, to actually helping to increase the wellbeing of the insured souls through wellbeing programs with incentives. There is a trend for increased company provision of wellness programs, as well as wellness programs providing financial incentives. According to a recent survey following the 2011 Art &amp, Science of Health Promotion Conference, that surveyed 210 US companies, 72% offered a wellness program of some kind, but only 40% actually offered a financial incentive to take part or actually achieve measurable results. According to the 2009 Watson Wyatt report, despite the high level of provision of these programs, employee participation is still low, with 40% of companies stating that &lt,5% of their workers taking part in weight management programs. 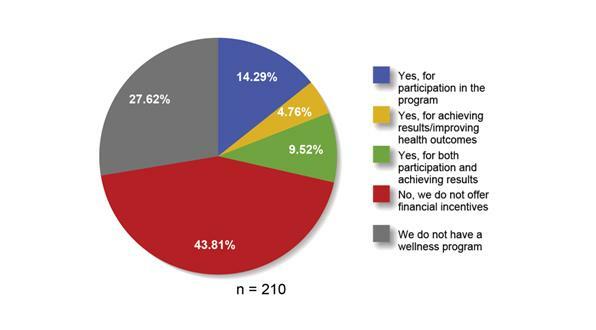 Financial incentives did increase participation, but only up to a point, and financial incentives had particularly limited impact in disease management and prevention programs, which is where the real gains could be made. What this shows is that financial incentives can only take motivation so far, beyond that, a higher level of satisfaction is required to really attain the levels of participation and achievement required. The biggest players in this new healthcare gamification space are the major insurers theselves. But one such smaller independent company, Keas, promises to incentivize health and wellbeing through “the power of play” – thereby gamifying healthcare. As one of the Keas’s video advertisement’s espouses, “you can’t just lecture people into being healthy, you have to provide positive re-enforcement”. Keas provides companies with a software platform that allows participants to compete in online games to improve their lifestyle. Their customers are companies wanting to conduct wellbeing programs for employees. The benefits of using gaming to educate employees have already been demonstrated. Participants are only counted once they have demonstrated sustained involvement – simply signing on and taking part once does not count. They claim that 35% of employees at participating companies will take part, providing the theoretically positive potential for lowering the average risk profile of the whole group of employees. Individuals are persuaded to take part because it is fun, not because they are being lectured-to or arm-twisted into improving their health. There’s the potential fringe benefit that participation in the program actually increases productivity by increasing teamwork and comradery in the workplace. Healthy lifestyle competitions are set up, and the winners can take home cash or gift prizes. The reality is that it’s the fun, the social interaction, the education and the competition that keeps people involved, not just the small financial incentives for winning. There is a network effect to this success as the more employees that are involved, the more they will involve each other. The healthcare gamification space is quickly becoming crowded, although the many potential competitors are all offering slightly different business models and services as the opportunities here develop and evolve. Many of the offerings are coming directly from the major insurers such as Aetna, Cigna Health, UnitedHealth, and Wellpoint. Other examples come from HumanaVitality, Team Wellness Challenge, Earndit, Virgin HealthMiles, Healthrageous, Redbrick Health and Partners Healthcare and major medical provider Cerner Health. Aetna offers its “Get Active” scheme to encourage participants to exercise and eat well. They also have an online game called Mindbloom where your tree grows as you complete healthy tasks! Team Wellness Challenge is a free online health and wellness tracker service designed to help people to track their health, involve their friends and family to compete against, and subsequently win awards and prizes. They pose major challenges such as walking 831 miles in a year. Many of the smaller companies that could be considered as competitors could be considered partners or merger targets as this personal healthcare incentive / monitoring industry becomes more mature. Previously this list might have included Google Health but last year Google announced that this venture was to be deemed a failure, in terms of attracting users, and they would be closing the service. In assessing why Google Healthcare failed, other similar businesses can learn which mistakes not to make in the future. Their “goal was to create a service that would give people access to their personal health and wellness information”, but not enough people signed up. They stated that they could not translate the service to people who weren’t already interested in monitoring their health. The new healthcare gamification leaders would argue that this is primarily because it wasn’t fun – i.e. that it was basically just a place to store data, similar to Microsoft’s HealthVault. Of course Adam Bosworth may have seen this coming, given that he quit Google Health back in 2007 to start Keas – or at least he saw a way to do it better, and to own a greater share of the equity in the idea. Google did not really market this service very much and perhaps too many feared that “Google is evil” and just did not want to give them their private data. Actually the opposite was true, as in fact it did not really alter its output depending on input (in a Web 2.0 way), and this could be considered a significant flaw of the service. Ultimately Google Health failed because it didn’t really offer anything beyond data storage and therefore there was really no incentive to use it. By offering incentives, better integrating with the current players in the industry, and by going direct to businesses rather than relying on individuals, start-ups and insurers entering the healthcare gamification field can succeed where Google Health failed. There are a myriad of opportunities for businesses to aid in the revolution into incentivized, future looking, preventative and wellbeing based healthcare. These businesses provide a way for companies to improve the health and health-related knowledge of their employees, and subsequently lower health insurance premiums and increase productivity of their employees. Numerous partnerships with different elements of the healthcare system can aid in their success. It’s clear that Google Health never made the partnerships required to succeed, such as connecting with doctors and insurance companies. In the next article, we will look at the partnerships and network integration required for healthcare gamification companies to succeed. Richard Law is an Oxford educated PhD MBA with 10 years experience working in the biotech / pharma industry. How can gamification help healthcare?